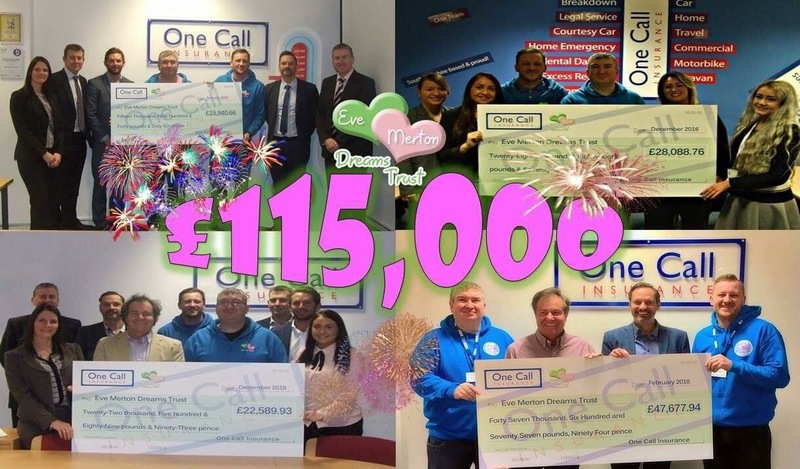 OneCall Insurance, staff and directors, constantly demonstrate their desire to help local charites and local people. ?? £115,000 in 4 Years!! ?? Over the last 4 years we’ve been incredibly lucky enough to have been chosen by them as their “Charity of the Year”. That commitment is not something they take lightly as they continuously look for new and inventive ways to raise funds. Due to their help we’ve been able to answer Dreams for literally dozens of Doncaster families as well as provide an entire DRI Cancer Ward with iPads so patients can maintain communication with their loved ones during treatment. Fulfilling a dream provides a positive focus, empowering both patient and families with enthusiasm & strength to deal with their ongoing struggles. The work OneCall have done has given us the tools to make a difference, and that is something we all must be eternally thankful for. THANK YOU OneCall Insurance and all that represent you. You are without doubt a company that cares about its community.